Dubai: His Highness Shaikh Mohammad Bin Rashid Al Maktoum, Vice-President and Prime Minister of the UAE and Ruler of Dubai, yesterday received a copy of the book, “The Mirage”, authored by Jamal Sanad Al Suwaidi. He received the copy during a meeting with shaikhs, ministers, dignitaries and heads of government organisations and members of the business community in the country. 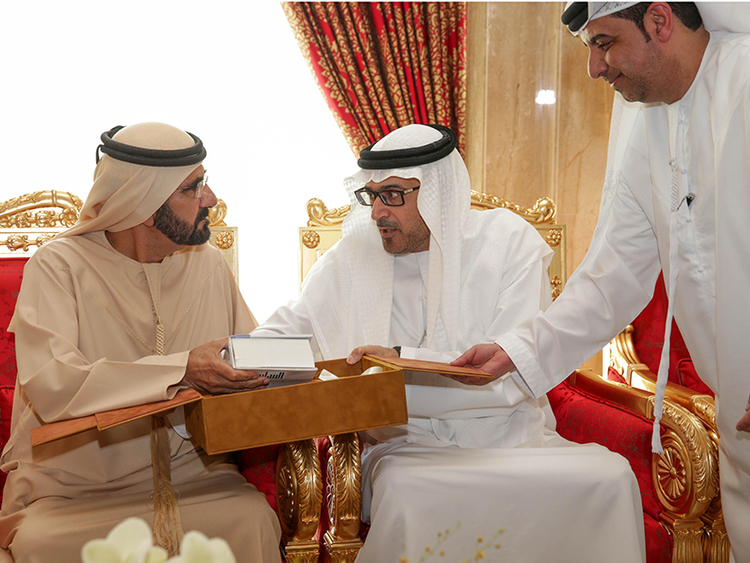 Al Suwaidi, Director-General of the Emirates Centre for Strategic Studies and Research (ECSSR), presented the copy of his recently released book to Shaikh Mohammad during the meeting. The book revolves around the main idea of political mirage promoted by religious political groups among Arab and Muslim nations.